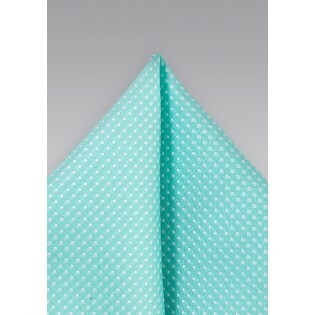 Take a hold of your summer themed wedding with this elegant sea mist colored pocket square. 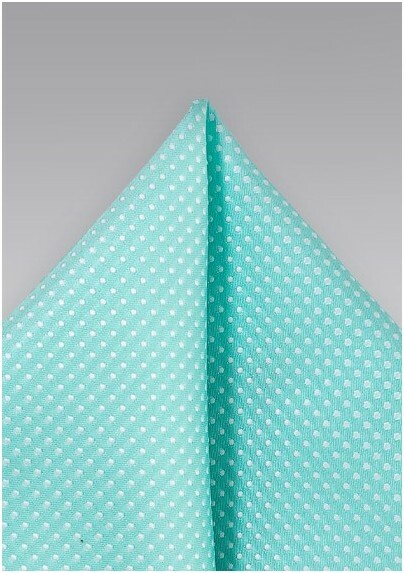 This charming pin dot pattern combined with its fun yet classy color is the perfect option for your wedding coming in a matching bow tie and necktie to complete your outfit. We recommend you pair this captivating piece with a cream or beige colored suit, a pair of brown leather shoes and either its necktie or bow tie. To drive home the classiness of your outfit, we recommend adding in a white flower lapel pin. This sharp summer time piece was designed by Puccini and made from a woven microfiber.